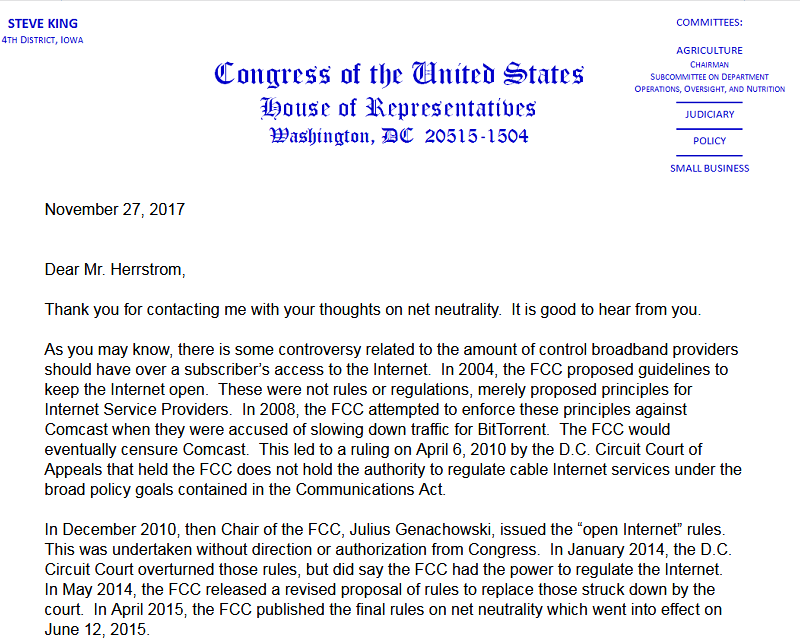 Unfortunately the FCC lost it’s mind this morning and voted to roll back the Net Neutrality rules, which so far seems to be supported by Iowa’s Congressional delegation. 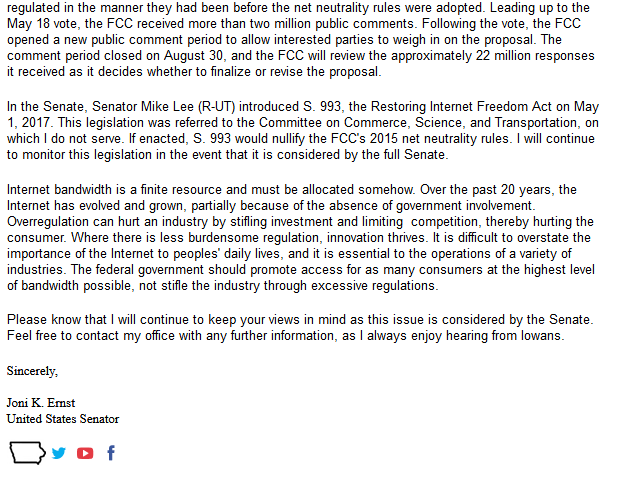 Responses from both Senator Ernst and Representative King are below. 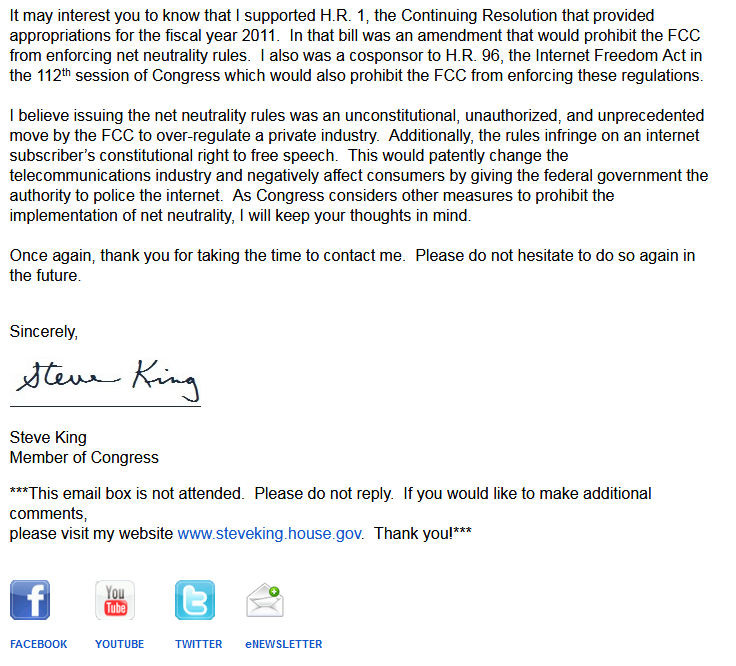 I’m told Representative Blum gave a similar response to one of his constituents. 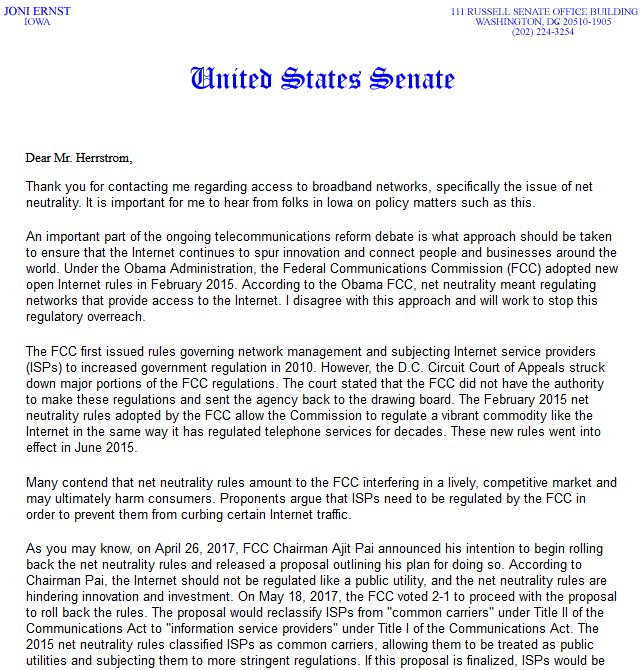 I have yet to hear anything from Senator Grassley. I previously posted the letters on Facebook but decided to add them here as well..but since they were in email I had a hard time figuring out how to extract them.